We are grateful to our Advisory Council members for providing their guidance as we push our vision forward! Tania Lewis moved to Gustavus Alaska in 1994 and completed her undergraduate degree in Marine Biology at University of Alaska, Southeast in 1999. In 2012 she received her Master’s Degree in Wildlife Biology from the UA Fairbanks with a research project examining the distribution of bear species and the population genetic structure of brown bears in northern Southeast Alaska. Tania is currently the terrestrial wildlife biologist for Glacier Bay National Park and Preserve with focus on bear ecology, nesting seabirds, and the abundance and distribution of wildlife species. Other research interests include documenting the ecological effects of changing climate and landscape, determining animal colonization patterns in recently deglaciated areas, and mitigating negative human impacts to wildlife. Whether at work or at play, Tania likes to spend time in wild places. Her free time is often spent adventuring by foot and non-motorized boat, growing and harvesting food, and playing music around a fire with friends and family. She served as President of the Inian Board of Directors from 2015 to 2018. Sam Skaggs received a BA in Environmental Studies from Hampshire College in Amherst, Massachusetts in 1975 then promptly moved to Alaska to manage a musk ox farm. Since then Skaggs has built super-insulated homes in Fairbanks; started a manufacturing company with inventor John Ingalls, and for over 25 years he has been an independent registered investment advisor. Skaggs has also been president of his family’s small foundation since 1986 and has granted over $2.5 million to mainly Alaskan non-profits in order to promote conservation, natural history education, the arts, and programs for individuals challenged with disabilities. An avid skier, hiker, and boater, Skaggs for many years skippered week-long natural history tours aboard his 54-foot ketch, Arcturus, with the mission of introducing other foundation funders, congressional staff, and individuals to SE Alaska’s magnificent place and people. With Richard Carstensen, Skaggs also started the landmark tree project that for 15 years searched out and mapped the largest stands of Tongass ancient forest to provide a better understanding for policy decisions being made for the region. Paul Johnson lives in northern southeast Alaska with his wife Tami, children Alice, Tim, and Rick and dog Lena. Ken Hitz, Los Altos, California, is the president of the Hitz Foundation, a family foundation supporting conservation, human rights, and the arts. He received a BS in Mechanical Engineering and an MBA from Washington University in St. Louis. He was a manager for Price Waterhouse Management Consulting specializing in large system architecture and implementation before becoming an independent consultant. Mr. Hitz currently serves on the boards of the Maasai Wilderness Conservation Trust, the Oregon Shakespeare Festival, Chamber Music San Francisco, and the Hitz Foundation. He is also the winemaker for Château d’Hitz winery in Los Altos Hills, California. 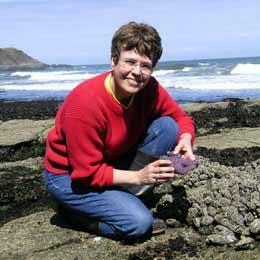 Dr. Jane Lubchenco is renowned for her expertise in marine ecosystem dynamics, climate change, and the connections between ecological and socio-economic systems. After receiving her PhD in ecology from Harvard University, Dr. Lubchenco taught at Harvard (1975-1977) and then Oregon State University until 2009, when she was appointed administrator of the National Oceanic and Atmospheric Administration (NOAA). Most recently, Dr.Lubchenco served as Haas Distinguished Visitor in Public Service at Stanford University, and has now returned to OSU. Dr. Lubchenco is a passionate advocate for making science relevant to the problems facing human societies. She has co-founded several programs dedicated to science communication (including the Leopold Leadership Program and the Communication Partnership for Science and the Sea), and served as president for the American Association for Advancement of Science (AAAS) and the Ecological Society of America (ESA). Dr. Lubchenco has received numerous awards, including a MacArthur “genius” award and 20 honorary doctorates. Rob Dunbar is a leader in interdisciplinary education at Stanford University who has taught numerous field courses from Alaska to Antarctica, the tropics, and South America. His research integrates oceanography, marine ecology, and ocean acidification with past and present climate dynamics, climate policy and solutions. 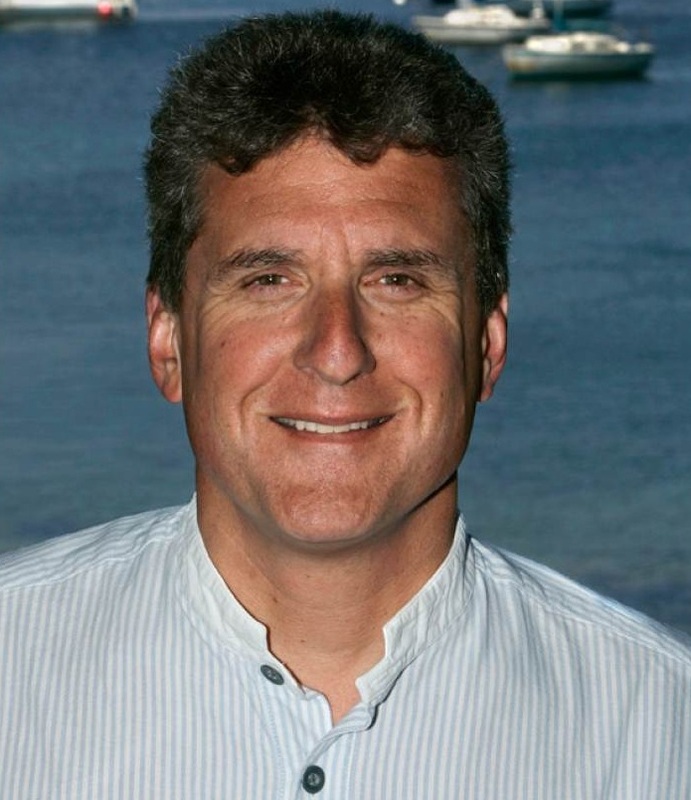 Rob was instrumental in starting Stanford University’s partnership with Semester at Sea for undergraduate education. He was a co-founder and the first director of Stanford’s Emmett Interdisciplinary Program of Environmental Resources (E-IPER). Together with the founding members of Inian Islands Institute, he leads Stanford Sophomore College courses to Southeast Alaska and Inian Islands Institute every other September. Mike Sutton is the Executive Director of Audubon California and Vice President of Pacific Flyway for The National Audubon Society. He was the founder of Monterey Bay Aquarium’s Center for the Future of the Oceans (CFFO). Before that his work at CFFO, he was the Director of WWF’s Endangered Seas Campaign and co-founder of the Marine Stewardship Council. His leadership in conservation has helped create the nation’s largest network of marine reserves off the California Coast and inaugurate the first National Ocean Policy in U.S. History. He serves as president of the California Fish & Game Commission and chairman of the Wild Salmon Center. 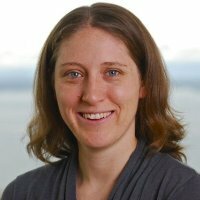 Becky Taylor is a member of the Financial Planning & Analysis team at the Bill and Melinda Gates Foundation. Her work focuses on promoting good stewardship of the foundation’s resources and helping grantees develop strong financial management practices. Prior to joining the Gates Foundation, Becky was a management consultant at McKinsey & Company and a policy analyst for the Alaska State Legislature. She has spent several summers working as an outdoor guide and environmental educator, including serving as an AmeriCorps volunteer working with at-risk youth in Southeast Alaska. Becky studied Education and Public Policy at Brown University and has an MBA and a Master’s in Environmental Policy from the University of Michigan. Vance Sanders loves the wilderness and and waters of Southeast Alaska, which he has plied since 1984. Although he practices law to support his family, it is his trips to coastal Southeast Alaska that renew him year after year. Vance, who is also outside counsel for Southeast Alaska Conservation Council, and represents Alaska Tribal interests (including subsistence), provides legal advice to our project. Jack May spent 30 years in domestic and international real estate investing for European investors committed to the US market. He primarily directed investments ranging from new developments to portfolios of diverse real estate assets across the Western US. Areas of specific concentration included mixed use, hospitality, apartments and self-storage. Portfolios included single assets valued from $5M-$25M to portfolios, like the Northwest Apartment Investment Group, of $250M. Since leaving corporate real estate, he is now focused on real estate operations that can be re-positioned to transform their position in their market niches; solving interesting problems in real estate. When not doing real estate he is exploring how his investment experience can be leveraged to help companies and groups in conservation and ecology create long term business models that are financially sustainable. He and his wife, Hilary, have an organic farm in Sebastopol, CA and a conservation sanctuary on Kangaroo Island, South Australia. Charlie Knowles is the President and Co-Founder of the Wildlife Conservation Network (WCN), which has advanced a powerful new model of wildlife conservation. Charlie retired early as a successful Stanford-educated entrepreneur in Silicon Valley. He founded software company Rubicon Technology in 1989 and sold it in 1994. His retirement lasted six days, until he launched full-time into applying his business acumen and experience to wildlife conservation. In the 1990s, Charlie helped the Cheetah Conservation Fund and the Snow Leopard Conservancy grow into world-class conservation programs, which led to the formation of the Wildlife Conservation Network in 2002. The synthesis of creativity and practicality in Charlie’s approach has inspired thousands of passionate donors, as well as a rising generation of conservation pioneers. Key Advising Role: Business, Development, and Environmental Entrepreneurship. Born and raised in Hoonah, Jeff Skaflestad is a Tlingit Norwegian from a logging family. He recently retired from 21 years as a high school science teacher. Jeff is a hunter and fisherman of the Icy Strait region, as well as an outdoor guide, which he uses to expose people to the fascinating biology and geology of the region through an Alaska Native perspective. A father of four and grandfather of six, Jeff is also a professional artist and carver with his own gallery. He has long dreamed of a field school in the Icy Strait region, and brings passion and indigenous knowledge to the Inian Islands Institute team.